Blogs & Insights -- How to Implement Faceted search with Solr in Drupal 8? How to Implement Faceted search with Solr in Drupal 8? Sometimes we need to implement a search functionality that looks similar to some of the renowned e-commerce site search (like Amazon, Flipkart and so on) as per the category, types and all. For this kind of search, Facet is a good option. So what exactly Faceted search is? Facet is a module, in Drupal 8, that provides a facility to arrange all the search results as per the category. Basically, it is an arrangement of search results based on categories, content type on indexed terms and content type. It provides a drill-down search facility. It can be used with default search and Solr as well. It shows a number of item count for each category. Facet provides a wide range of configurable setting in UI and so on. ‘Speed’ is crucial for any website as well as for search engines success. So the question here is how can we keep our Drupal system search fast when it has ’millions of content (like pages, nodes)? The answer is Apache Solr. 1. Field faceting - Retrieve the counts for all terms or just the top terms in any given field. The field must be indexed. 3. Interval faceting - It allows users to set variable intervals and count the number of documents that have values within those intervals in the specified field. 4. Query faceting - This faceting returns a number of documents in the current search results that also match the given facet query. 5. Pivot faceting - It allows to break down the values by category and sub-categories. 1. 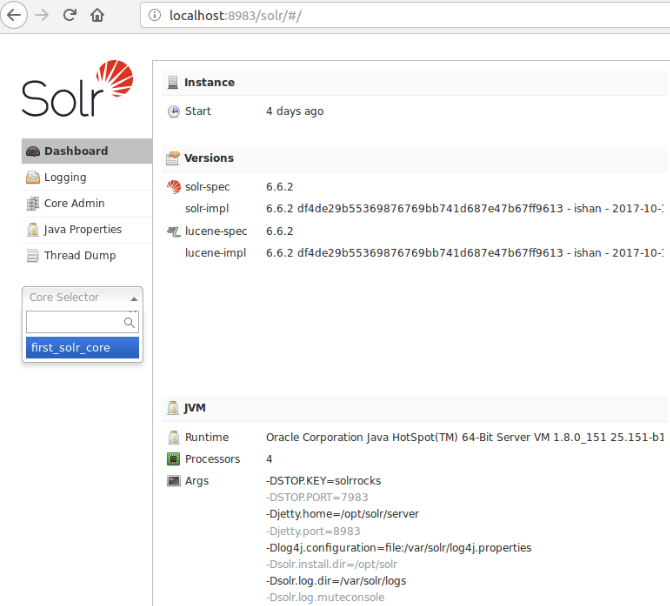 Create a Solr server: First, create a Solr server in your system. In order to have a better understanding, check out how to configure Apache Solr with Drupal for better content search. In Drupal 8, Composer is now a standard to include external PHP libraries. 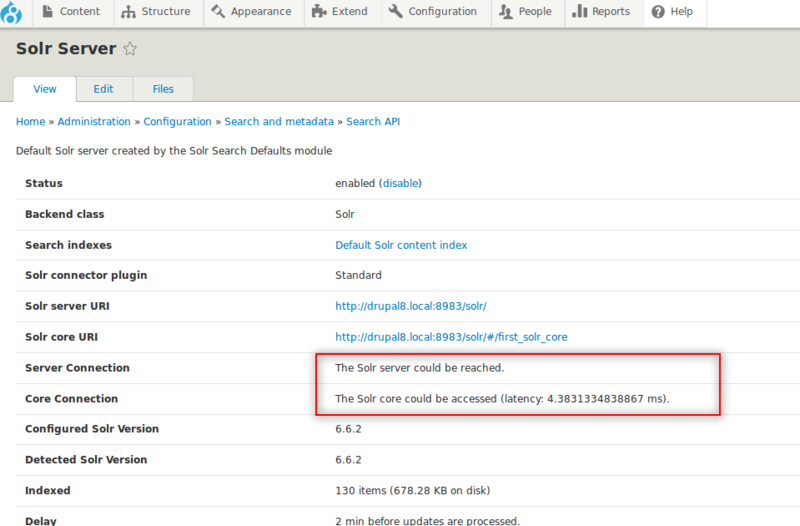 The Search API Solr module requires Solarium codes, which is not included in the module repository. So if you download this module directly from drupal.org and put the module in your Module folder then it will show the Solarium Libraries missing error at the time of module enabled. So I recommend installing all the dependencies of a module via Composer. After completing the above process, make sure you have all the required modules (Search API, Search API Solr Search and Facets ) in your module directory. Install all the required module from UI or using the drush command. Note: You need to uninstall core “Search” module if you are not going to use that else it will conflict with solr and Facet search. Go to Search API configuration page (Configuration >> Search and metadata >> Search API). Here I am using the default Solr server, but you can create your own server by clicking on “Add Server” button. After making the changes, visit the server status page on click on “Solr Server” link or from ‘/admin/config/search/search-api/server/default_solr_server’ path. If everything goes fine then you will find a pop-up box with the message “The Solr server could be reached” and “The Solr core could be accessed”. That means your Solr server connection is done successfully. Now you can use it. 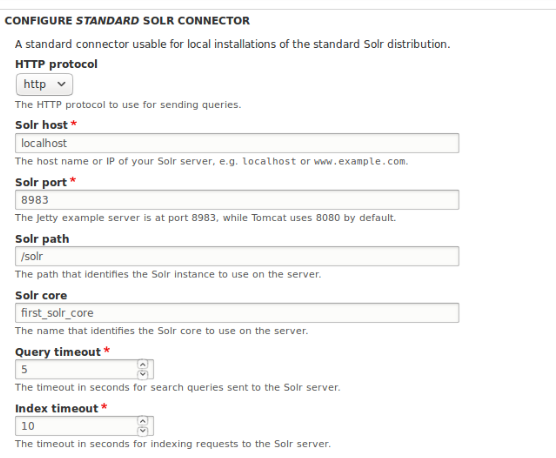 After configuring, Solr Server, you need to configure the Solr Index also. The Solr Search creates a default content index containing all published nodes. You can modify the configuration as per your requirement. To do this, click on the Edit link of “Default Solr content index”. 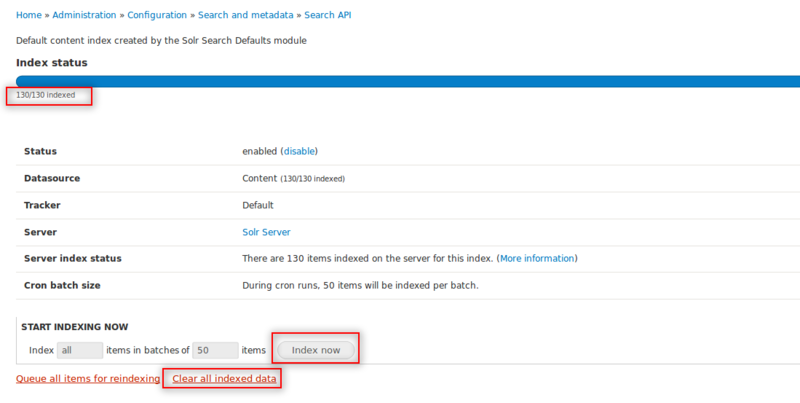 To check whether the index is working properly or not, click on the Search Index title (like Default Solr content index). You will find the indexed status and you can re-index all data from here also. Before re-indexing, you need to click on “Clear all indexed data” and then click on “Index now” button. 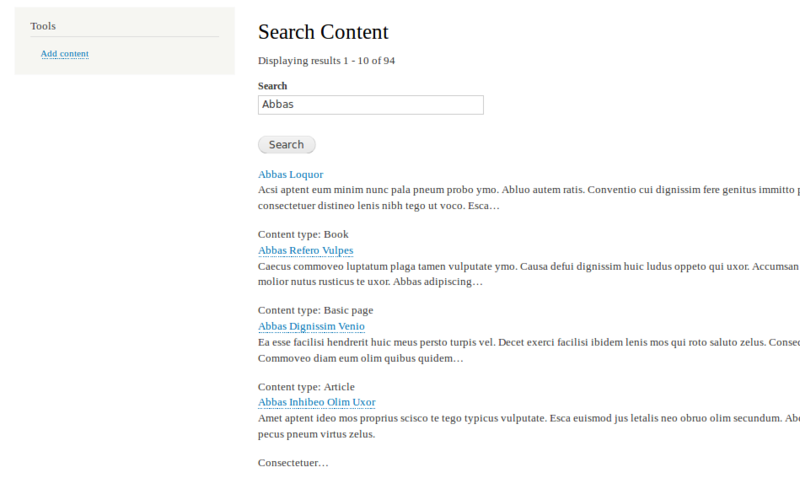 The Solr search module creates a default view page for search results, which can be accessed at ‘/solr-search/content’. You can configure Facet by visiting ‘/admin/config/search/facets’ path or from “Configuration >> Search and Metadata >> Facets”. In ‘Facet source’ drop-down box, choose the 'View Solr search content, display Page'. Select “Content type (type)” in Field drop-down. Select ‘Show the amount of results’ checkbox to display the count of results. Select ‘List item Label’ checkbox to display the labels of Content type instead of Machine name. Do some other configuration as per your requirement. The facet provides a block that can be placed in the theme region from Block layout. Here I have placed that block in Sidebar First region on my website. To place the block, click on the ‘Place block’ button from that particular region and search the block there. Have you used Faceted search earlier? Is there anything you'd like to clarify or see further clarified about Faceted search? Let me know in the comments! Drupal Consultant having 3+ years experience in Drupal and overall 5+ years of experience in development. Always ready to accept the new challenges and resolved them and love to learn new things.